This cabin started life as a water wheel powered mill. It has been completely remodeled but it is still just feet away from the creek. 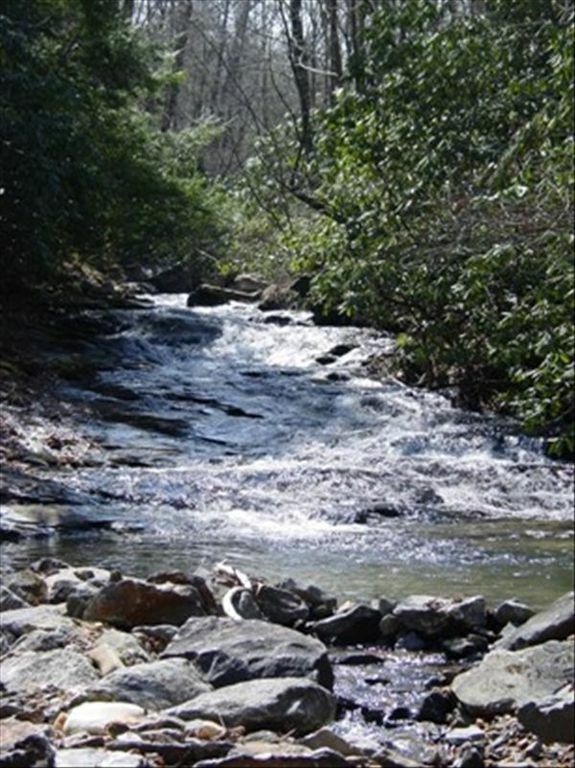 The sound of the rushing water is highly relaxing and makes for a tremendous night's sleep. The master bedroom located on the ground floor has a king-size bed. The second bedroom located on the second floor has a full-size bed and a twin bed. There is also a large loft on the second floor over looking the living room, dining room and kitchen. This cabin is close to Ellijay and Blue Ridge. The Toccoa and Ocoee Rivers are close. The southern terminus of the Appalachian Trail is just six miles away. Helen Georgia is also only a short drive. The cabin has unlimited WiFi internet access. Also note, there is a $50 fee added to one night reservations. No Smoking inside Cabin. Please, maximum of 5 quests. The Cabin was perfectly placed by the creek. It was clean and had everything you needed. We will be booking again in the near future. We felt this cabin was a home away from home.